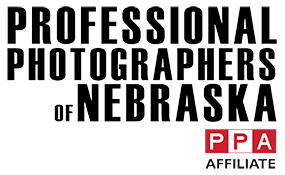 At C41 Photography we know that your professional image is your calling card. In an increasingly visual market, a professional image is required when portraying yourself as a professional or an expert in your field. We specialize in creating images for professionals that let their customers know that are committed to quality. In these days an incredible professional image is worth more than a thousand words. Your image represents your business and using a lower cost alternative will represent a low-quality brand and a level of unprofessionalism that can often damage your reputation and keep customers from calling you versus the person who has better a better quality photo. Customers want to get to know whom they will be doing business with. Whether you use your professional image on your business card or website they want to get to know you. The best way for a potential client to get to know your business is by showing them an actual photo of you and your team members. Your professional image also can also help you get found on the web and keep you top of mind on social media sites. Optimizing your photo on your website can get you found easier and changing your professional image on sites like LinkedIn will alert those in your contact sphere that something in your profile has changed. This helps keep you current and relevant to peers and future customers. When representing yourself and your business in the marketplace, through websites, printed materials, and social media accounts your professional image will likely be the first thing a potential client or viewer sees. This is your first opportunity to catch someone’s eye, and at C41 Photography we will capture an image that delivers the best first impression of you. No selfies or vacation photos. Clothing should be professional, however, if going for a more casual approach make sure clothing is well pressed and fits properly. Dark colors photograph best. Avoid loud or large prints on shirts or jackets. Monitors can distort patterns and often can distract the viewer from your face. Avoid sleeveless tops. The more skin shown in a photo the heavier the subject may appear. Long sleeved tops, jackets, and sport coats look best when photographing a head and shoulder professional image. If photographing multiple people across an organization maintain a constant theme in the portrait style. We would love to create your new or updated professional image. Give us a call and we will plan your professional portrait session and plan all the details to create an image you will love and get several years of use out of. Help Us Give Back To The Community! for C41 Portrait Design updates!